Geraldo Rivera is one of those well-known personalities who just can’t seem to stay out of the news. Whether he’s reporting live from the Gulf War, getting remarried, or feuding with NPR reporters, Rivera manages to remain in the spotlight. Recently the TV reporter found himself in the hospital undergoing foot surgery, and in true reporter form, he kept the public updated every step of the way. Yet, his strange story goes to show that choosing the right surgeon in New York is not always easy — even if you have celebrity status. Geraldo may have gotten a hammertoe due to a “botched” spinal surgery. What’s Up with Geraldo’s Foot? According to The Blaze, Geraldo first tweeted word of his impending foot surgery back in August 2013. The 70-year-old said he had been invited to compete on “Dancing With The Stars” but could not — due to “a bad foot.” Shortly thereafter, he clarified his previous story by allegedly tweeting this: “Selfie 2: Beginning next week the sad tale of how my foot was crippled by botched back surgery in prominent New York hospital” — along with a photo of his right foot and a bent big toe atop New Yorker magazine. 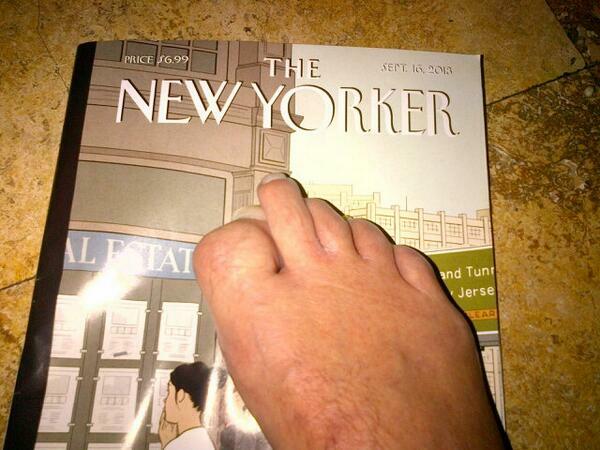 Geraldo Rivera has tweeted several photos of his ailing foot, with this one appearing in September 2013. Then, Twitchy Media reported a slew of tweets coming from Geraldo’s personal account in September. Geraldo informed fans that he would be suing the Hospital for Special Surgery on the Upper East Side for “crippling” his foot in a “botched back surgery” and for “secretly videotaping” his wife and 8-year-old daughter. He accused the hospital of “marketing surgery like a pair of shoes” and lamented the fact that he could not jog, play tennis, shoot hoops, or ski anymore. Judging by the looks of it, we’re guessing Geraldo’s back surgeon must have damaged the peripheral nerves of his spine, which is a very rare — but very real — cause of hammertoe in some patients. Mostly, we see hammertoe cases that are the result of a hereditary condition present at birth, poor shoe choice, or a sports injury. However, according to Children’s Hospital of Neurosciences, hammertoe may occur when a surgeon damages the lower part of the spinal cord that attaches to the meninges membrane. Unfortunately, additional surgery is needed to fix this problem if that’s the case. 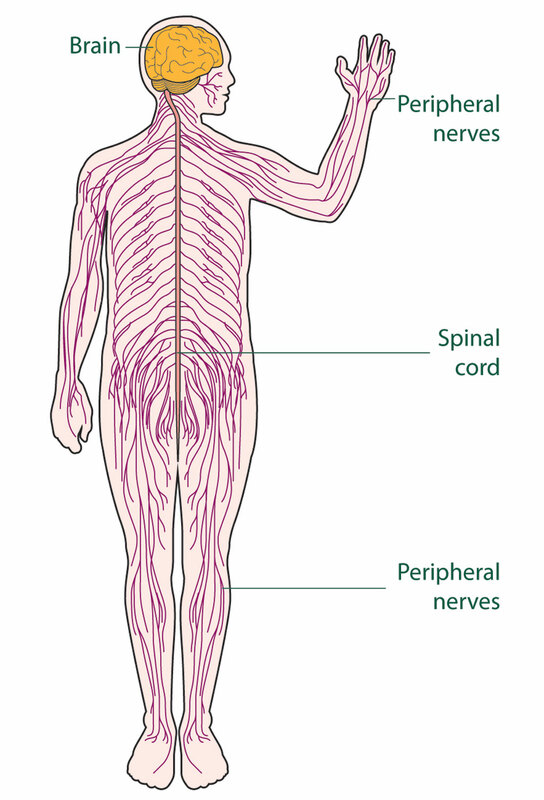 The peripheral nerves connect the brain to the feet through the spinal cord. On Thursday, January 16th, Geraldo tweeted: “Foot destroyed in botched surgery killing me.” Unfortunately, one cannot expect immediate recovery following foot surgery. It takes a lot of time, care, and patience, even when everything goes as smoothly as possible. That’s why a good surgeon will explore conservative options before immediately suggesting surgery, whenever possible. Here at The Center for Podiatric Care and Sports Medicine, we see numerous cases each year, treating everything from hammertoe, joint replacement, heel pain, and arthritis. We are dedicated to the diagnostic, therapeutic and surgical correction of foot and ankle disorders. We aim to thoroughly examine all options available to patients regarding each personal case. Contact us today to schedule a consultation, and let’s get your feet in shape for the rest of 2014.